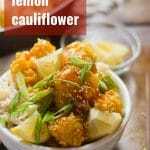 Cauliflower florets are coated in panko breadcrumbs, baked until crisp, then drenched in sweet gingery lemon sauce to make this sticky lemon cauliflower. 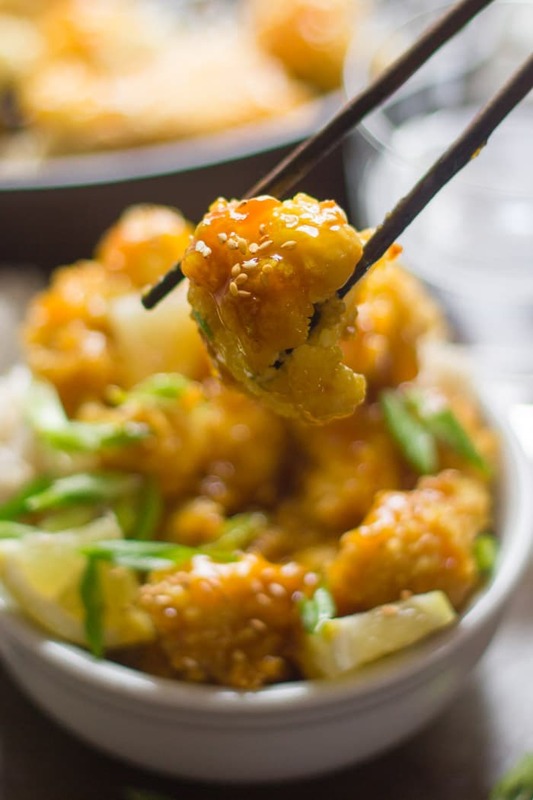 It’s been over two years since I posted my sticky sesame cauliflower. I loved that recipe so much, and it took off so well that I immediately decided I needed to do more with the whole crispy baked cauliflower coated in sticky sauce concept. I took my time, but finally got around to it! At this point I’ve covered lots of the popular sticky Chinese takeout sauces, usually using them on tofu. Orange sauce: check! Tso’s sauce: check! Black pepper sauce: check! What’s left? Ah, lemon sauce! I used to get a dish with lemon sauce at a favorite Chinese vegetarian restaurant when I lived in the city. That dish involved mock chicken, but mock chicken isn’t really my thing these days. Cauliflower is my jam. 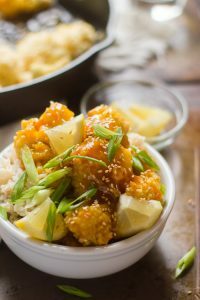 I made this one a little differently from my sticky sesame cauliflower. That one I simply batter dipped and baked. And even though I loved it, a lot of people had trouble with the recipe. Sometimes the batter didn’t stay on the pieces, and sometimes it didn’t crisp. Others said it turned out perfectly. I’m not sure why, but I’m guessing there’s some variation in peoples’ oven temperatures. You need the oven to get super hot for it to work. 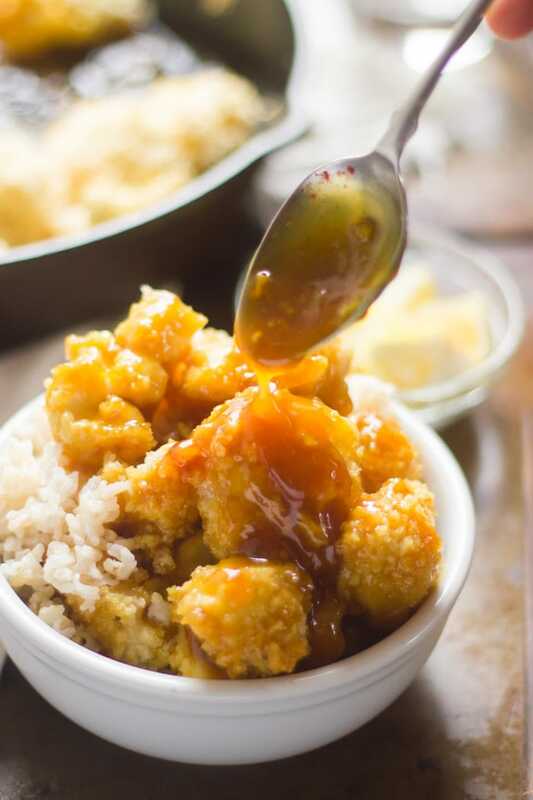 If you made the sticky sesame cauliflower and loved it, feel free to dip and bake the cauliflower following that recipe and just swap out the sauce for this one. If it didn’t work out for you, or if you haven’t tried it and just want something a little more foolproof, then I think this is the recipe for you! The main difference: panko. After dipping the florets I rolled them in panko for an extra crispy coating on the outside. The panko also helps anchor the batter in place, so no big globs in the bottom of the pan! And then there’s the sauce. 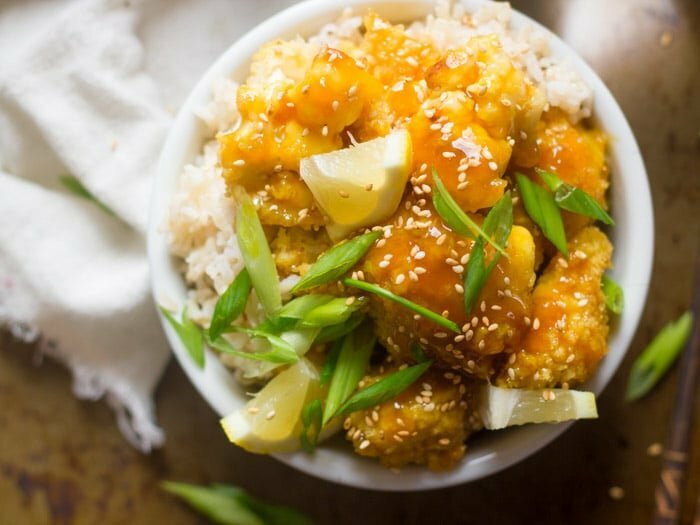 If you’re a fan of sweet and sour you’ll probably really like this, as it is, in fact, pretty darn sweet and sour. Lemon gives it a big, bright flavor, while ginger supplies a subtle kick. Preheat the oven to 425° and lightly oil an oven safe skillet or baking dish. Stir the flour, milk and salt together in a small bowl. Place the panko into a separate bowl. Drop a floret into the flour mixture and roll to *lightly* coat it with batter (it need not be completely covered). If you end up with too much batter on it, shake it a bit to remove the excess. Transfer the cauliflower to the panko and roll to coat. Place the cauliflower into the prepared baking sheet or skillet. Repeat until all of the cauliflower is used, leaving some space between the florets when you place them in the dish or skillet. Lightly spritz the cauliflower with oil. Bake the cauliflower until it begins to brown, 20-25 minutes. While the cauliflower bakes, combine the broth, soy sauce, lemon juice, maple syrup, zest, garlic, and ginger in a small saucepan. Place it over medium heat and bring the mixture to a simmer. Lower the heat and allow the mixture to simmer for about 15 minutes, stirring occasionally, until it reduces by almost half. Stir the cold water and cornstarch together in a small cup or bowl. Add it to the broth mixture, and allow it to simmer for 1-2 minutes more, until it thickens up a bit. 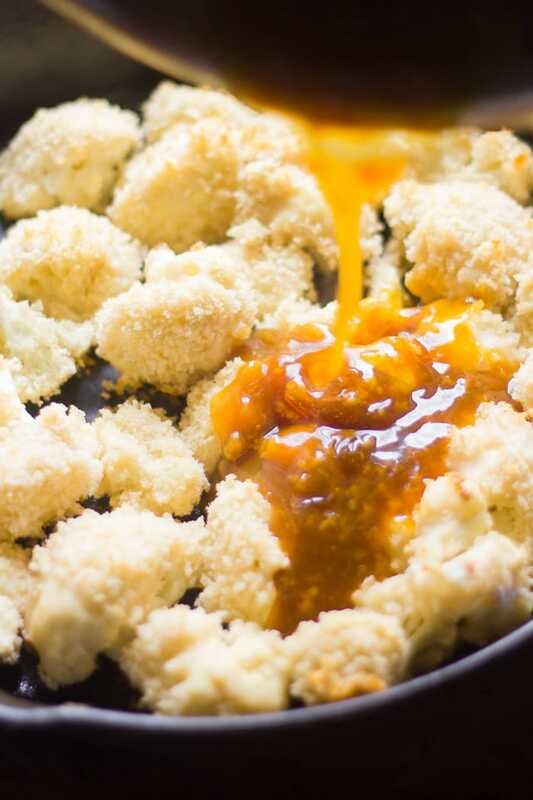 Pour the sauce over the baked cauliflower, tossing to coat, and optionally reserving a bit for serving. Divide the cooked rice and cauliflower onto plates. Sprinkle with sesame seeds and scallions. Serve. I will try this recipe this week. I want you to know that every recipe I get from you site is a hit. 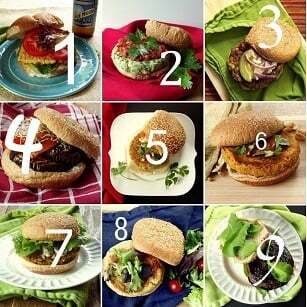 No one knew eating a plant based diet could be soooo good! I’m so glad you’re enjoying the recipes! I hope this one is a hit too!! Made this recipe lat night- It was awesome..I will make it more often…loved the lemon-y sauce. And this time ..yes, the cauliflower did turnout nice and crispy, using the panko. Great recipe, bravo and thank you. Yay!! I’m so glad to hear that you liked it!! Thanks Chris! which kind of rice would go best with this? Hoping to try this recipe out this week! Wondering if you know how the leftovers reheat or if you had any recommendations for reheating!? Your best bet is to just sauce up as much cauliflower as you’re going to eat, and store the rest separate from the sauce. We had some leftovers, and while they were still tasty, the cauliflower did get pretty soggy! Try lightly processed rice Chex as a sub for panko crumbs.